Welcome to the Ramada by Wyndham San Diego Airport Hotel, a perfect place to call home while visiting sunny San Diego. Located in Point Loma, just 1.5 miles from San Diego Airport and nearby cruise terminals and the harbor, our hotel is within a 10-minute drive to most of San Diego’s top attractions from SeaWorld, San Diego Zoo, Midway Museum, and Balboa Park. The Ramada by Wyndham San Diego Airport is located at 1403 Rosecrans Street. 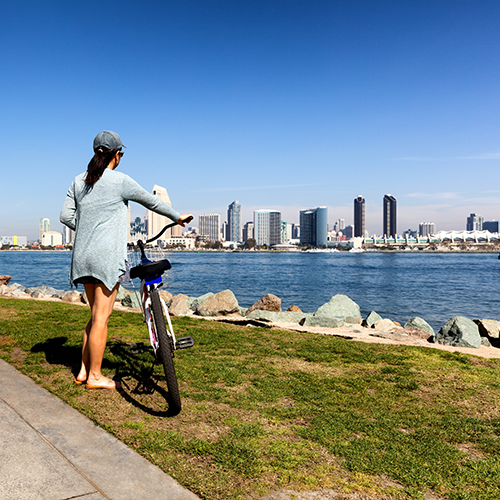 Walk to the harbor and enjoy shopping, dining, and nightlife within walking distance to the hotel or be at the epicenter of San Diego Epicurean delights and nightlife, The Gaslamp District within a few minutes. Old Town is a mere 2 miles away offering dining and shopping while taking in San Diego’s heritage. The Ramada by Wyndham San Diego offers you the ability to unwind, relax and refresh after spending the day touring San Diego. You can look to stay active when you stay at Ramada by Wyndham San Diego Airport. Take a swim in our outdoor swimming pool after lounging on our sun deck. 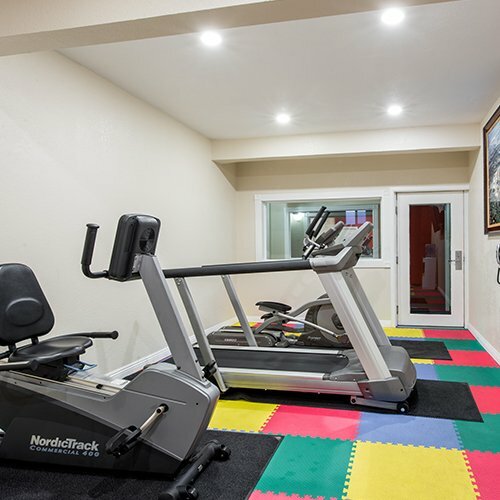 Keep in shape with a work out in our fitness center. Guests will find conveniences such as an on-site guest laundry and business center where business travelers will benefit for extended stays. You can pick up snacks and necessities at our Mini-Mart, and a complimentary hot breakfast buffet is served each morning so you can start your day off right. Our hotel has an elevator for your convenience. Our San Diego hotel offers accommodations with 1 King Bed perfect for couples or travelers visiting San Diego or business, and 2 Queen Bedrooms or suites that are ideal for groups or families in town to explore all of the kid-friendly activities and attractions. You can upgrade to a harbor view or balcony room with additional space. ADA Handicap Accessible rooms are available for guests with special needs. All of our guestrooms are ADA Defined service-animal friendly. All of our non-smoking, air-conditioned guest rooms feature 37-inch flat screen LCD TVs with HBO, Free Wi-Fi, fridges and microwaves, coffee makers, and full private bathrooms with hairdryer and complimentary toiletries. Located in beautiful Point Loma, and convenient to the airport and nearby cruise terminals. You can spend the day at SeaWorld, explore LegoLand and the San Diego Zoo, or have an amazing night on the town. It’s all just minutes away. 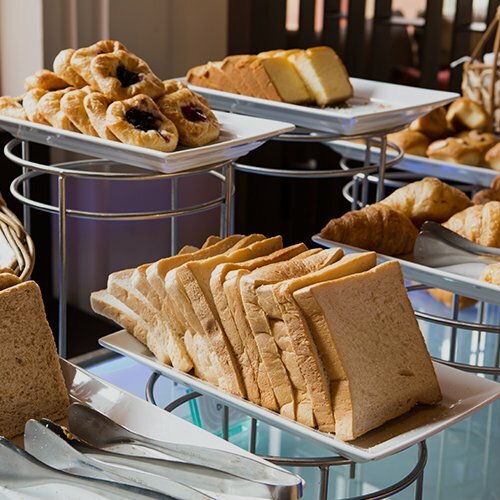 Enjoy our Complimentary Hot Breakfast Buffet to start your day. Gear up for an exciting day exploring San Diego with free continental breakfast including hot Belgian waffles. Take a swim in our pool after working out in our fitness room. Our San Diego hotel offers a business center, guest laundry, and on site shop for you basic travel needs. This website is maintained by Ramada San Diego Airport, a licensed user of certain proprietary trademarks and service marks of Ramada Worldwide, Inc.